What is the best equipment for mechanism sand? Currently, the best equipment for mechanism sand offered by Liming Heavy Industry is VU aggregate optimization system. Due to over exploitation of natural sand, the price of natural sand keeps increasing, what’s more, the existed natural sand are of uneven quality and shortness. While traditional mechanism sand are of lower quality and bad shape. Therefore, LIMING VU aggregate optimization system are born to meet the requirement of wide market and to make up the weakness of traditional technology. VU optimization system adopts top technologies home and abroad, providing a brand new dry sand-making solution to sand-making industry. 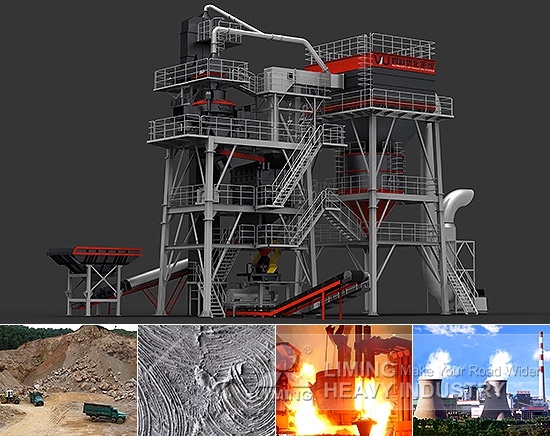 VU system takes the cheap and easy access tailing, waste, construction waste, aggregate chips, and the small pebble as raw materials, producing high-quality mechanism sand with dry environmental technology. The mechanism sand produced by VU system can be widely used as auxiliary sand of mixing plant, dry concrete, cement, aggregate quarry, and large-scale construction, meeting the huge needs of sand market. With promising market prospects and high economic profits, VU optimization system is widely approved and welcomed by customers. If you are interested in our equipment for mechanism sand, you can consult with our online service. We are glad to serve you.